One of the most anticipated movies at this year’s Sundance Film Festival also turned out to be among the most divisive. On Friday afternoon, the Eccles Theater had to turn away hundreds of movie fans, and even a few industry VIPs, at the packed premiere of “Swiss Army Man,” starring Daniel Radcliffe and Paul Dano. 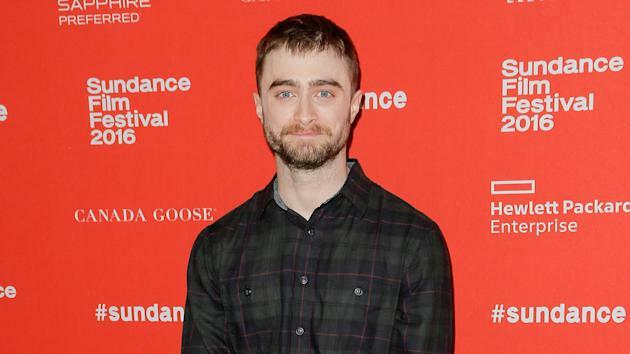 But the bizarre fable about a lost man (Dano) who befriends a farting corpse (Radcliffe) could win the festival’s award for the most walk-outs, as a continuous stream of audience members kept standing up and bolting for the door throughout the film. The indie, directed by the music video duo Daniel Kwan and Daniel Scheinert, opens with Radcliffe (as the corpse) washing onto a shore. Dano’s character inspects the body, as it comes to life by twitching and passing gas. The story unfolds in a magical realist style and features long discussions about masturbation, isolation and the meaning of life. It also features a kiss between Dano and Radcliffe (who continues to flee his Harry Potter image by taking part in a reoccurring gag where his dead character maintains an erection). “The chance to play a dead guy in this context was too much fun to pass up,” Radcliffe said in an audience Q and A. The film has drawn mixed reactions. As Sundance enters its second day, buyers have started to gripe that the movies aren’t commercial this year, which may result in a batch of deals that slowly come together instead of heated bidding wars.